SUV which has just been named as Car of the Year AUTOMOTIVE AWARD 2016 All New Mitsubishi Pajero Sport is quite interested in the community, with Dakar as the best-selling type. Since the initial launch in January 2016 up to now has been purchased more than 9,000 units throughout Indonesia. "Bestsellers type 4x2 Dakar, dominated up to about 80 percent. If the overall Jabodetabek still dominate," said Irwan Kuncoro, Operating Manager MMC GM Marketing of PT Krama Yudha Tiga Berlian Motors (KTB). However, added Irwan, KTB still able to maintain the supply, so booking is only about one month only. This time period is considered normal for a new car is launched. "However, there are also faster, depending on the variant and color choices. If the Dakar variants of white, black, can be faster than that, depending on the order consumers as well," he added. 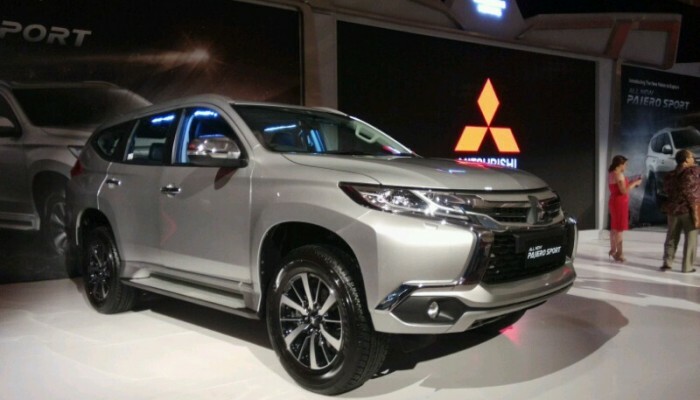 Meanwhile, regarding the price, Irwan continue still the same as the first launched, which starting from Rp 446 million (Exceed 4x2, AT) to Rp 623 million (Dakar 4x4, AT) on the road Jabodetabek.